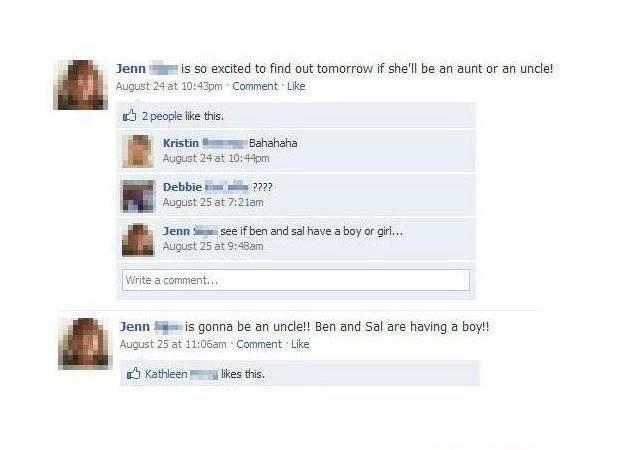 With billions of us on planet Earth we are fortunate to have some very stupid people that we can laugh at. Here are some funny pictures of humans being dumb. 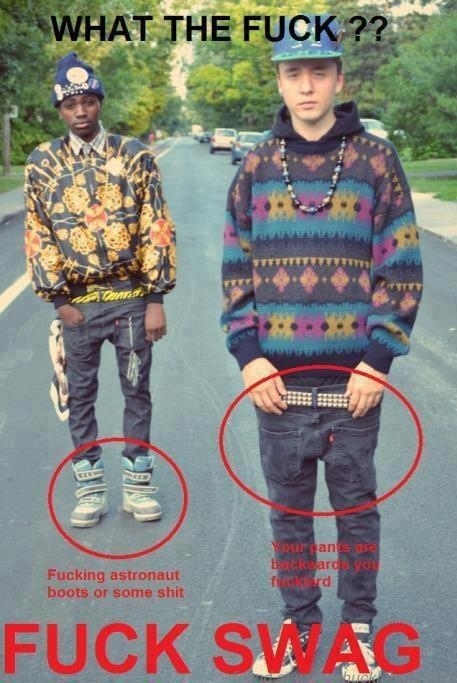 First up, here is how dumb idiots like to dress. I don’t know at what stage this lady looked in the mirror and thought it was a good look. Perhaps she just wants to look like the black version of Marge Simpson. 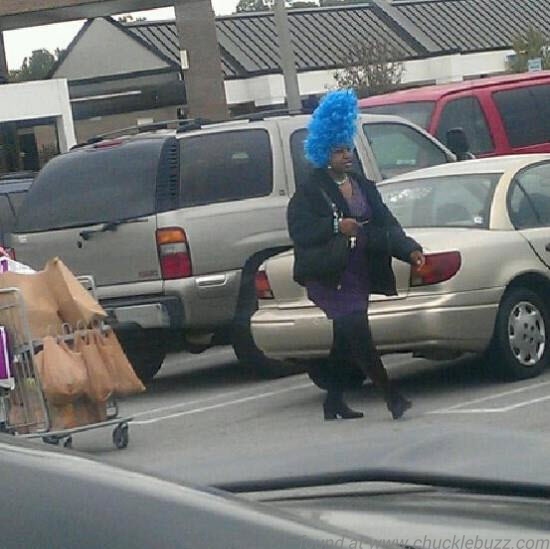 Black woman with blue hair. Interesting mix. Look at my nice new TV. 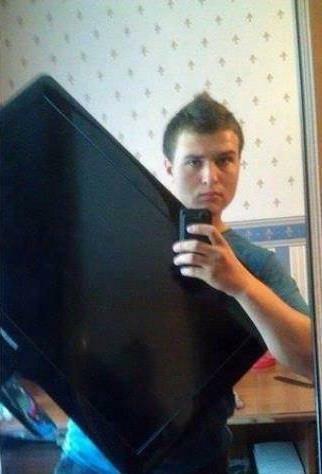 Possibly wins an award for worst selfie ever. Going on television is probably not a good idea if you are shy on brain cells. 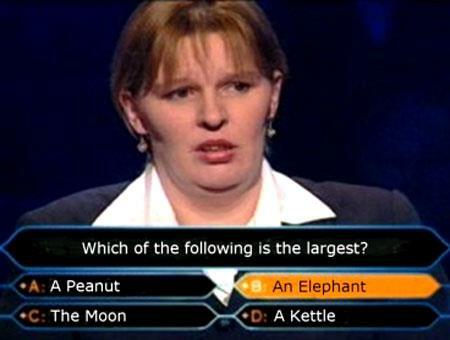 As this woman found out on Who Wants to Be A Millionaire. 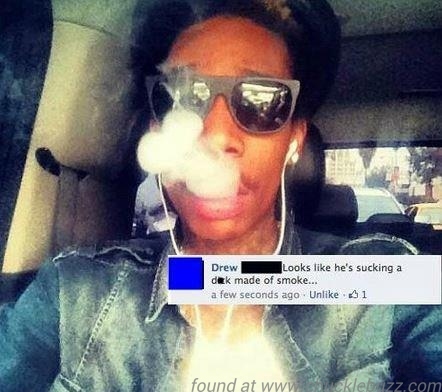 This dude thought he was being cool uploading a pic of him smoking. All he did was make himself look like he is sucking off a ghost. What a plonker. Unfortunately Facebook does seem to bring out the stupid in people. As this absolute dipstick. There are plenty of images online of people who some how, are so thick, they got a messed up tattoo. Here is one of those idiotic spelling mistakes on a tattoo. 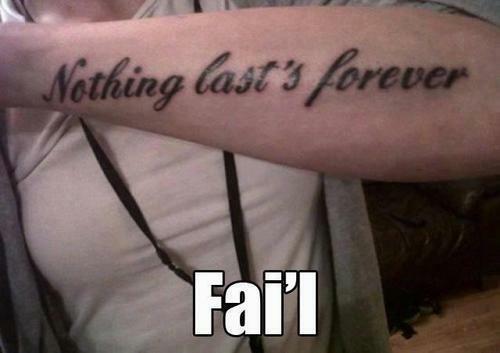 Massive fail with new tattoo. If you are one of the retards in any of these dont take it personally, be proud that you are famous, and embrace yourself as a very special person. Then you can sleep well at night in your colorful bed sheets. And if you are someone who actually has a decent amount of brain cells. 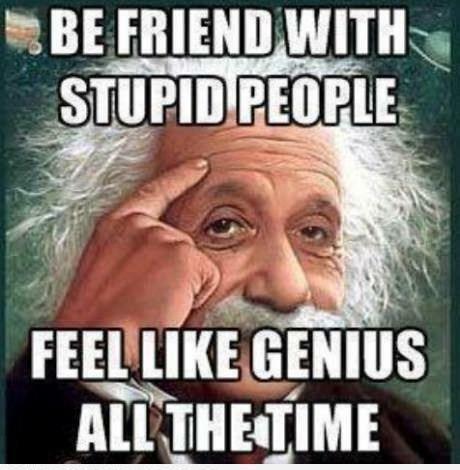 Remember to stay friends, it will make you feel even smarter then you already are. We hope you enjoyed this compilation of epic fails by dopes. If you have any good photos like these, perhaps of your mates you want to make famous, then send them in to us and we will take a look at adding them to this page for you. If you know of more memes, demotivational posters or funny quotation pics we should post then fire them in to us. Viral Images About Weddings – The Happiest Day Of Your Life!